Hi all. 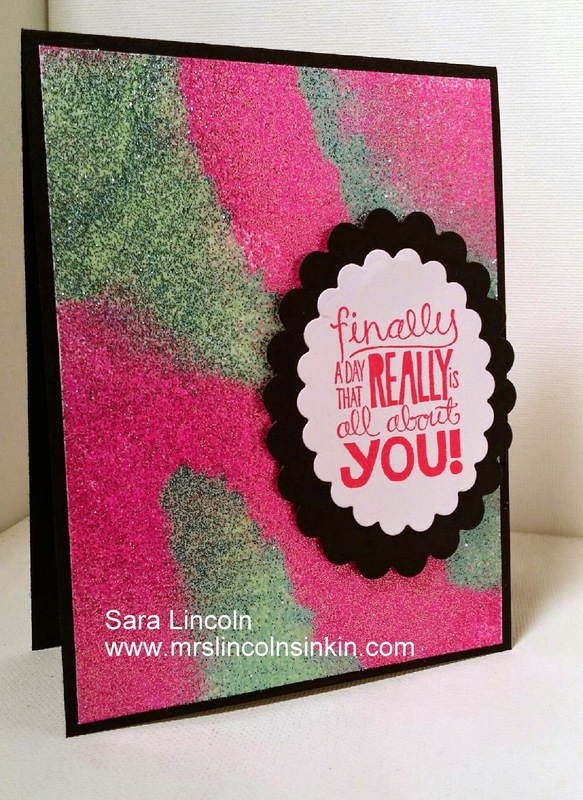 Welcome to Mrs. Lincoln's Inkin' and today quick card share. 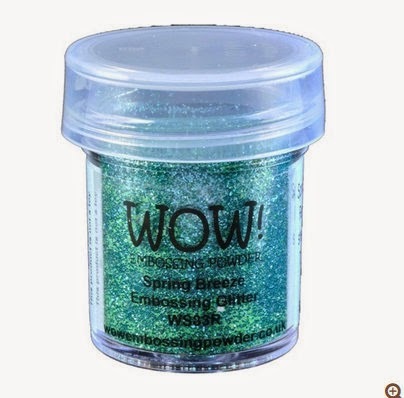 Today's card is using a technique where you use nothing but GLITTER for the background!!! 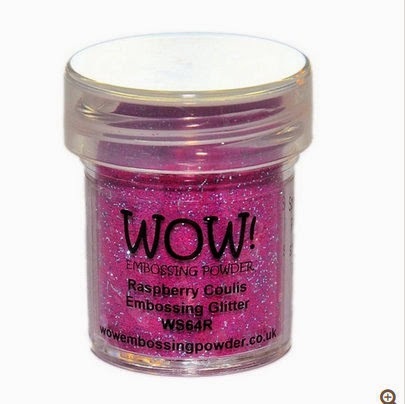 I LOVE glitter and loved that this WOW glitter that I got from Simon Says Stamp is embossing glitter... therefore it doesn't come off everywhere when you touch it because you heat set it! OMGoodness!!!! The colors are called Spring Breeze and Raspberry Coulis. They work just like regular embossing powder... you use your VersaMark Ink, sprinkle the embossing powder where you want it (that is what i did on this card, just randomly pouring it where i wanted) and then you heat set it with your Heat Tool.